➦In 1927...The Federal Radio Commision (RFC) was created. The FRC wasgovernment body that regulated radio use in the United States from its creation in 1926 until its replacement by the Federal Communications Commission (FCC) in 1934. The Commission was created to regulate radio use "as the public interest, convenience, or necessity" requires. The Radio Act of 1927 superseded the Radio Act of 1912, which had given regulatory powers over radio communication to the Secretary of Commerce and Labor. The Radio Act of 1912 did not mention broadcasting and limited all private radio communications to what is now the AM band. In 1935...WEAV-AM, Plattsburgh NY signed-on as WMFF, owned by Plattsburgh Broadcasting Corporation (in turn controlled by the Bissell family), and operating on 1310 kHz. The North American Radio Broadcasting Agreement in 1941 moved the station to 1340 kHz. On October 23, 1948, the station changed its call letters to WEAV and relocated again, this time to the current 960 kHz. At one time an affiliate of ABC Radio and its predecessor, the Blue Network, WEAV switched to CBS Radio in the late 1950s. The station inaugurated FM service on February 3, 1960, with the launch of WEAV 99.9. FM (now WBTZ-FM) as a simulcast of the AM station. WEAV-AM currently airs Sports Talk. 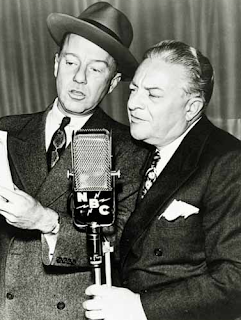 ➦In 1935...Martin Block starts at WNEW-AM (now WBBR 1130 AM) in NYC at a salary of $20 per week. In 1935, while listeners to New York's WNEW in New York (now information outlet WBBR 1139 AM) were awaiting developments in the Lindbergh kidnapping, Block built his audience by playing records between the Lindbergh news bulletins. This led to his Make Believe Ballroom, which began February 3, 1935 with Block borrowing both the concept and the title from West Coast disc jockey Al Jarvis, creating the illusion that he was broadcasting from a ballroom with the nation’s top dance bands performing live. He bought some records from a local music shop for the program as the radio station had none. Block purchased five Clyde McCoy records, selecting his "Sugar Blues" for the radio show's initial theme song. Because Block was told by the station's sales staff that nobody would sponsor a radio show playing music, he had to find himself a sponsor. Block lined up a producer of reducing pills called "Retardo"; within a week, the sponsor had over 3,000 responses to the ads on Block's radio show. Martin Block's style of announcing was considerably different than the usual manner of delivery at the time. Instead of speaking in a voice loud enough to be heard in a theater, Block spoke in a normal voice, as if he was having a one-on-one conversation with a listener. When one of Block's sponsors offered a sale on refrigerators during a New York snowstorm, 109 people braved the elements for the bargain Block advertised; by 1941 potential sponsors for his show had to be put on a waiting list for availabilities. ➦In 1938...Challenge of the Yukon is an American radio adventure series that began on Detroit's station WXYZ and is an example of a Northern genre story. The series was first heard on February 3, 1938. The title changed from Challenge of the Yukon to Sergeant Preston of the Yukon in September 1950, and remained under that name through the end of the series and into television. ➦In 1938...The comedy duo Abbott and Costello made their first apperance on radio. Bud Abbott and Lou Costello, whose work on radio and in film and television made them the most popular comedy team of the 1940s and early 1950s. Their patter routine "Who's on First?" is one of the best-known comedy routines of all time in the world, and set the framework for many of their best-known comedy bits. Their first known radio broadcast was on The Kate Smith Hour on CBS Radio. At first, the similarities between their voices made it difficult for radio listeners (as opposed to stage audiences) to tell them apart during their rapid-fire repartee. As a result, Costello affected a high-pitched, childish voice. 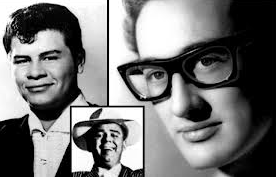 ➦In 1959…Around 1 AM, , American rock and roll musicians Buddy Holly, Ritchie Valens, and J. P. "The Big Bopper" Richardson were killed in a plane crash near Clear Lake, Iowa, together with pilot Roger Peterson. The event later became known as "The Day the Music Died", after singer-songwriter Don McLean referred to it as such in his 1971 song "American Pie". At the time, Holly and his band, consisting of Waylon Jennings, Tommy Allsup, and Carl Bunch, were playing on the "Winter Dance Party" tour across the Midwest. Rising artists Valens, Richardson and Dion and the Belmonts had joined the tour as well. The long journeys between venues on board the cold, uncomfortable tour buses adversely affected the performers, with cases of flu and even frostbite. After stopping at Clear Lake to perform, and frustrated by such conditions, Holly chose to charter a plane to reach their next venue in Moorhead, Minnesota. Richardson, who had the flu, swapped places with Jennings, taking his seat on the plane, while Allsup lost his seat to Valens on a coin toss. Soon after takeoff, late at night and in poor, wintry weather conditions, the pilot lost control of the light aircraft, a Beechcraft Bonanza, which subsequently crashed into a cornfield. Everyone on board was killed. The event has since been mentioned in various songs and films. A number of monuments have been erected at the crash site and in Clear Lake, where an annual memorial concert is also held at the Surf Ballroom, the venue that hosted the artists' last performance. Richardson was 28, Holly was 22, and Valens was 17. Don McLean later immortalized the tragedy in his classic song "American Pie," calling this "the day the music died." ➦In 1968…At EMI's Abbey Road Studios in London, the Beatles began recording "Lady Madonna." The song was release in mid-March, the single was their last release on Capitol Records in the U.S. All subsequent releases, starting with "Hey Jude" in August 1968, were issued on their Apple Records label. ➦In 1971...Jay C Flippen Flippen died at age 71, during surgery for an aneurysm caused by a swollen artery, one month before his 72nd birthday. He was a radio announcer for the New York Yankees, one of the first game show hosts. ➦In 2003...actress Lana Clarkson died in Phil Spector's mansion in Alhambra, California. Her body was found slumped in a chair with a single gunshot wound to her mouth with broken teeth scattered over the carpet. Spector told Esquire in July 2003 that Clarkson's death was an "accidental suicide" and that she "kissed the gun". The emergency call from Spector's home, made by Spector's driver, Adriano de Souza, quotes Spector as saying, "I think I've killed someone". De Souza added that he saw Spector come out of the back door of the house with a gun in his hand. On April 13, 2009 a jury returned a guilty verdict against Spector. He was taken into custody and was formally sentenced, on May 29, 2009, to 19 years to life in the California state prison system, where he remains. ➦In 2003…Longtime St. Louis radio personality Ron Morgan died of a heart ailment at age 60. Ron Morgan came to St. Louis in 1973, taking an on-air position on Pulitzer powerhouse KSD. It was the beginning of a stay in St. Louis radio that would span nearly twenty years. Known as “Morgan in the Morning,” he peppered his programs with droll humor supplemented with an infectious laugh and gave his program team plenty of opportunities to share the spotlight. 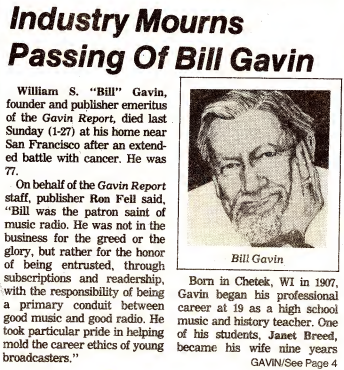 He also did mornings at KSD-FM and KLOU, as well as other shifts at KMOX and KHTR. Morgan was also program director at CBS-owned KLOU when it hit the air with an oldies format, giving the station a strong group of personalities to complement the music, and he served as operations director at KSD-FM. Ron Morgan was visible in the community as a long-time supporter of the Easter Seals Society. 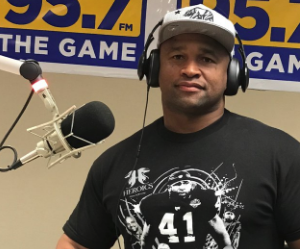 Entercom Communications has announced the signing of sports radio air personality Lorenzo Neal to a new long-term contract extension to continue as the co-host of the morning drive on KGMZ 95.7 FM The Game in San Francisco. He'll remain on "Joe, Lo & Dibs," weekdays from 6-10am PT. Neal joined the all Sports outlet as an air personality in 2014. Longtime co-host on ESPN Radio with Dan Le Batard, “Stugotz” (Jon Weiner) now has his own platform to give his unique and somewhat skewed take on sports and the world around him with Stupodity, the second original offering from the newly formed Le Batard and Friends Podcast Network created by ESPN Podcasts. 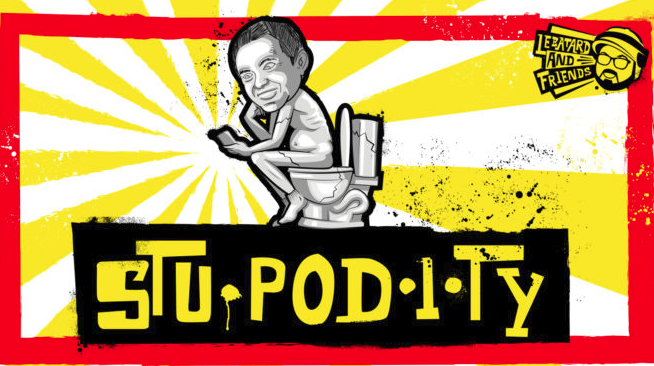 Stupodity will be a weekly opportunity for Stugotz’s views on sports and life with visits from the people important to him both professionally and personally. The first title that launched the new podcast network, Le Batard’s South Beach Sessions, launched in early January. The first episode of Stupodity went live January 31 with recently named New York Jets coach Adam Gase the guest. 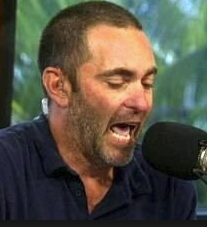 Not only does “Stu” know him from Gase’s time with the Dolphins, but Stugotz is a rabid Jets fan as a native of Long Island, N.Y. Besides talking about his first few weeks with the Jets, Stu brings the coach into an earlier topic on the podcast where he and his wife, Abby, discussed teaching their twin 15-year-old daughters how to drive and whether to slow or stop at Yield signs. Stugotz added, “I was going to use this space to tell you the direction of Stupodity but I honestly have no idea! What I do know is that my wife, Abby, is going to be a big part of it and we hope to have funny discussions about sports, parenting, marriage and life that will be relatable to so many people out there and that alone makes this different and unique. The Dan Le Batard Show with Stugotz (weekdays from 10 a.m. – 1 p.m. ET, simulcast on ESPNEWS) joined the national ESPN Radio lineup in September 2015. The duo has unique chemistry as they present a blend of thoughtful conversation, self-deprecating humor, and sports and celebrity guests. The show began as a local program in Miami where it continues to be based. Spotify Technology SA is in talks to purchase podcasting giant Gimlet Media, according to The Wall Street Journal citing people familiar with the matter, a move that would give a boost to the music-streaming company’s narrative-audio ambitions. Talks are ongoing and it is still possible that a deal won’t happen, the people said. Stockholm-based Spotify has been expanding beyond music streaming and into the world of podcasting, as it aims to capture more of consumers’ listening time and, eventually, boost profit margins. Although podcasts have been available on the service for years, they have become a priority only in recent months. That has meant building out capabilities to fast forward and host longer-form content, as well as feature podcasts prominently on the platforms. 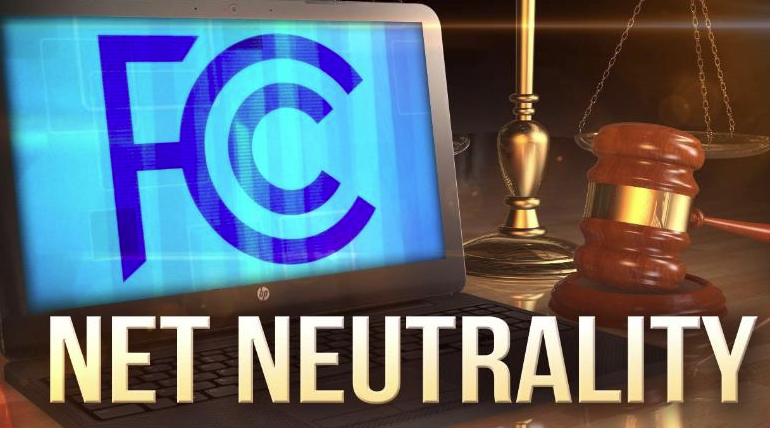 A panel of federal judges on Friday grilled the top lawyer for the Federal Communications Commission (FCC) over the implications of the agency's decision to repeal its net neutrality rules in 2017. According to The Hill, The judges had pointed questions for both net neutrality supporters and the FCC, and it’s unclear how the three-judge panel might rule. At least two of the judges, though, seemed concerned about the repeal’s effect on public safety and how the industry might behave in the absence of FCC oversight. Reuters reports the arguments focused on how internet providers should be classified under law - either as information service providers as the Trump administration decided or as a public utility, which subjects companies to more rigorous regulations - and whether the FCC adhered to procedural rules in dismantling the Obama-era rules. Vice Media told employees Friday it is cutting 10% of its workforce, or 250 jobs, the latest in a string of significant cutbacks in the sector. according to The Wall Street Journal. Last week, BuzzFeed said it, too, was cutting around 250 jobs, or 15% of its workforce, as it tries to get on a path to profitability. Verizon Media Group’s HuffPost and Yahoo News units also suffered deep cuts, as did lifestyle-focused Refinery29. Also,Craig Forman, CEO of McClatchy Company, Friday emailed all staff to say 459 or about 10 percent of the newspaper chain's employees would be offered voluntary buyouts. 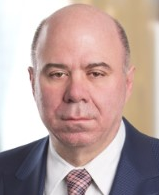 According to the Miami High Times, Forman stressed the buyout is optional. "It is important to us that [employees] are empowered to make the next steps on their career path," he writes, and also references, "driving our company to a functionally based organizational structure in targeted strategic areas." Each company has its own distinct factors contributing to its problems, but the common threads are the increasingly difficult online-advertising market and pressures from investors whose influx of money came with expectations of red-hot returns. Facebook Inc., Alphabet Inc.’s Google and a rising player, Amazon.com Inc., attracted an estimated 62% of online-ad spending in 2018, according to research firm eMarketer. 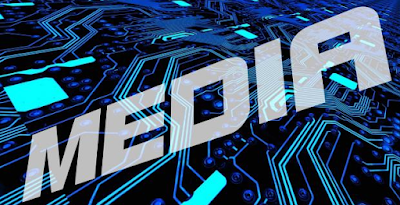 That leaves several dozen significant players—including all online publishers and traditional media companies—competing for the remaining pot of money. WSJ reports a wave of consolidation in the industry might be the only way forward, many executives in the industry say. BuzzFeed, whose biggest investor is Comcast Corp.’s NBCUniversal, has had some preliminary discussions with Group Nine Media, a Discovery Inc. -backed outfit whose outlets include video-news specialist NowThis and animal-themed The Dodo, according to people familiar with the situation, though the discussions haven’t advanced very far. Super Bowl Sunday is almost upon us. The TV commercials are ready, the Bud Light is chilling, and the fans are getting into a frenzy ahead of the biggest football game of the year. As the New England Patriots prepare to play the Los Angeles Rams at the Super Bowl, kicking off at 6.30 p.m. ET on February 3, retailers, broadcasters and sponsors will be waiting to cash in on the biggest sporting event in the U.S. The NFL will reportedly pocket tens of millions for Sunday's game, but for more accurate figures it's better to look at the season as a whole. The NFL does not disclose the value of its contract with TV networks to broadcast regular season football games, but it's reported that CBS, Fox and NBC will pay around $3 billion a year collectively to do so, with a total of around $27 billion for the period 2013 to 2022. Each network gets the Super Bowl match to themselves three times over that period. The NFL also doesn't release detailed financial data, but one league team, the Green Bay Packers in Wisconsin, does break out its finances because it's fan-owned. How NFL teams make money from CNBC. Super Bowl ad spots are the most expensive on commercial TV in the U.S. by far, with a 30-second slot costing $5.25 million. That works out at roughly $175,000 per second. Thirty-second ads during regular-season NFL games usually cost around $625,000, according to Kantar Media. Of the three TV networks who alternate broadcasting the Super Bowl, CBS will show it this year. Total ad spend for pregame, in-game and post-game advertising during NBC's Super Bowl broadcast last year was $482 million, according to Kantar. CBS has broadcast the Big Game the most times and 2019 marks its 20th year, and its official line at a January 10 press conference was that it was 90 percent sold on ad spend. The network might take close to half a billion dollars in advertising for just one football game, contributing heavily to the overall annual amount it pays the NFL for the right to broadcast. As close to a national holiday as its possible to get (even if it's on a Sunday), Super Bowl Sunday has grown to become a sacred event in the American calendar. The event is a welcome-occasion to get together with family and friends but it's also embraced by retailers. Given that the Super Bowl is consistently the highest-rated television event in the country, people really tend to enjoy themselves and spend some cash. The National Retail Federation has forecast total spending levels of $14.8 billion this year as people buy everything from beer and snacks to new TVs. The event has really grown in prominence in recent years, resulting in bigger parties and more spending. For example, total planned spending in 2010 didn't even crack the $9 billion mark, a long way short of the expected total for 2019. On a per person basis, average spending in 2010 was just over $50. That has crept up a lot though, and this year the average American is expected to part with $81. That's tied with 2018 and represents the second-highest level of spending per person in the survey's history behind $81.19 set in 2016. The decline came about because fewer people are planning to watch the game. Trump Tells CBS: Pelosi Is "Very Bad For Our Country"
Days before a State of the Union address in which he's expected to stress unity, President Trump said House Speaker Nancy Pelosi is "very bad for the country," in an exclusive interview to air Sunday with CBS News "Face the Nation" host Margaret Brennan. CBS News also reports the president suggested Pelosi "doesn't mind human trafficking," or she wouldn't oppose funding his border wall. 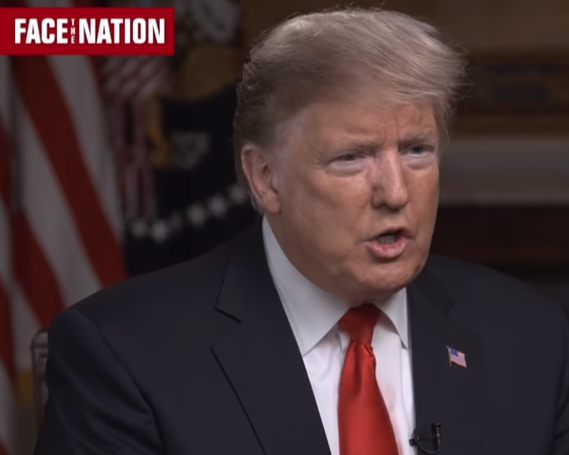 Mr. Trump sat down for nearly an hour in the White House Blue Room Friday afternoon in a wide-ranging interview that will air on "Face the Nation" Sunday morning and prior to the Super Bowl. "Well, I think that she was very rigid — which I would expect — but I think she's very bad for our country," the president said, when asked what he learned after negotiating with Pelosi in recent weeks. "She knows that you need a barrier. She knows that we need border security. She wanted to win a political point. I happen to think it's very bad politics because basically, she wants open borders. She doesn't mind human trafficking or she wouldn't do this." Brennan's interview with the president comes days before his first State of the Union address in a divided government, and two weeks before government funding for several federal departments and agencies runs out on Feb. 15. Mr. Trump said Thursday he doesn't think lawmakers will reach a deal to fund his border wall. Mr. Trump told Brennan that Pelosi is doing a "terrible disservice to our country." "She's — she's costing the country hundreds of billions of dollars because what's happening is, when you have a porous border and when you have drugs pouring in, and when you have people dying all over the country because of people like Nancy Pelosi who don't want to give proper border security for political reasons — she's doing a terrible disservice to our country," the president told Brennan Friday. More of the interview will air on "Face the Nation" Sunday morning at 10:30 a.m., and before the Super Bowl at 3:30 p.m.
On his nationally syndicated radio show Frioday, Tom Joyner announced the One More Time Experience multi-city tour, which includes concerts that bring the music and celebration of his daily Party With a Purpose, The Tom Joyner Morning Show. 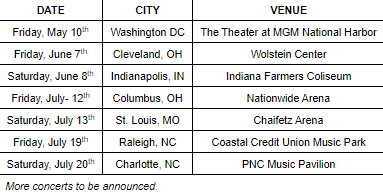 Dates begin on May 10th and continue throughout the summer. Joyner, a huge fan favorite who changed the radio landscape, launches this tour with a routing that allows his audience to join the celebration and toast Tom for his longtime commitment to entertain, inform and empower. Each tour date will showcase Tom and friends, including artists like Maze featuring Frankie Beverly and KEM. Stay tuned for more artists to be announced. 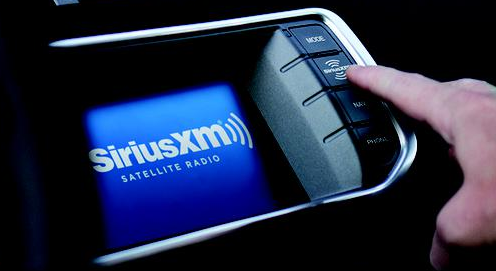 SiriusXM hasannounced that it has reached a landmark agreement with Toyota that will expand the installation of SiriusXM to all Toyota models and trims sold in the Continental U.S. The expansion is expected to start with 2020 model year vehicles produced in the Fall of 2019. The agreement will result in SiriusXM becoming a standard feature as Toyota's next generation head units are rolled out to Toyota cars, trucks and SUVs. The agreement also extends the long-term relationship between the two companies into 2028. ➦In 1890...Charles James Correll born (died September 26, 1972). He was an early radio comedian, actor and writer, known best for his work for the radio series Amos 'n' Andy with Freeman Gosden. Correll voiced the main character Andy Brown, along with various lesser characters. The two developed ‘Sam & Henry’ in 1926 for WGN Chicago, which they renamed ‘Amos ‘n’ Andy’ when they jumped to WMAQ in 1928. ➦In 1946...Twenty Questions, first broadcast at 8pm, Saturday, February 2, 1946, on the Mutual Broadcasting System from New York's Longacre Theatre on West 48th Street. Radio listeners sent in subjects for the panelists to guess in 20 questions. On the early shows, listeners who stumped the panel won a lifetime subscription to Pageant. From 1946 to 1951, the program was sponsored by Ronson lighters. In 1952-53, Wildroot Cream-Oil was the sponsor. ➦In 1957...Early rocker Dale Hawkins recorded 'Susie Q' in a studio at KWKH Radio in Shreveport, Louisiana. James Burton featured on guitar. 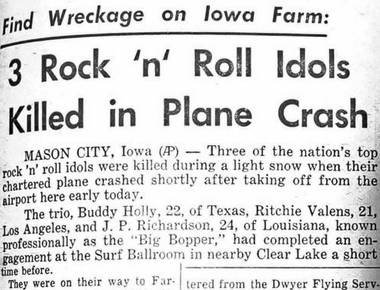 Holly, Valens and Richardson left The Surf immediately after the show, going to the nearby Mason City airport and chartering a small plane to take them to Fargo, North Dakota to prepare for their next show at the Moorhead Armory in Moorhead, Minnesota. The plane took off at 12:55 AM Central Time on Tuesday February 3, 1959. 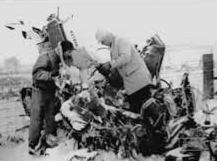 Shortly after takeoff, young pilot Roger Peterson, in a combination of spatial disorientation and misinterpretion of a flight instrument, flew the plane into the ground, killing everyone aboard. According to the report, Peterson was not certificated to fly commercially at night, nor was he qualified to fly in the adverse weather (IFR) conditions which prevailed at the time of the flight. Although Peterson underwent formal IFR training, he failed his final checkride weeks before the accident. A concrete monument was erected outside The Surf, and the ballroom is adorned with large pictures of the three musicians. A street flanking the facility's east property line is named Buddy Holly Place in his honor. ➦In 1975...Joe McCoy started as a disc jockey at WCBS 101.1 FM in NYC. He eventually became Program Director. 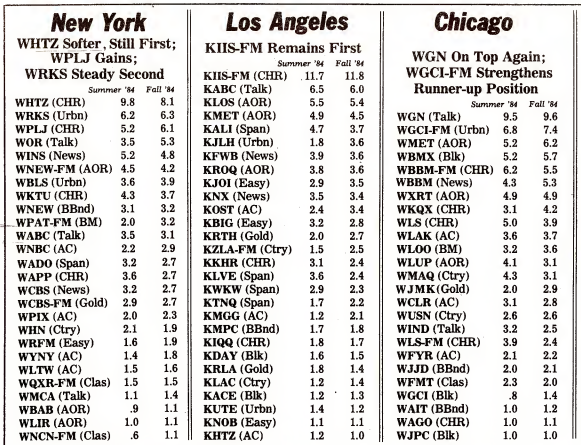 In his 23 years as Program Director at WCBS-FM in New York City the station was # 1 (12+) 5 times as well as a leader for many years in the all-important 25-54 demo. He is now retired. ➦In 1995...Actor Willard Waterman died at age 80. 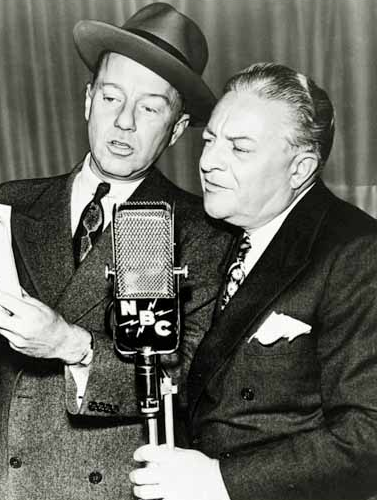 Waterman replaced Harold Peary, on "The Great Gildersleeve," radio program after Peary was unable to convince sponsor and show owner Kraft Cheese to allow him an ownership stake in the show. He also began his radio career at WIBA in Madison, singing in a quartet that performed "musical interludes between programs." and came to NBC in Chicago in early 1936. Waterman was a founding member of the radio union now known as the American Federation of Television and Radio Artists (AFTRA). ➦In 2009...Laurie Cantillo started as PD at WABC. She moved on to PD at News WTOP-FM in Washington. As Cantillo told the Business Journals May 2014, "When I was a victim of consolidation after working in New York at WABC, the very first email I got after the story came out in Radio Inc. was from Jim Farley, and he said, “Anything I can do to help?” And I said, “Sure, hire me,” with a smiley-face, kinda just kidding. He wrote back and said, “Well, we may have something, why don’t you come down to see us.” So I jumped on the train. I was so impressed with the team here, and what they told me was a transition plan that would allow him to retire." ➦In 2016…Radio and comedian Bob Elliott died in Cundy's Harbor, Maine on February 2, 2016, from throat cancer at the age of 92. He was part of the the Bob and Ray comedy. Ray Goulding died in 1990. The company also shut down KDND in Sacramento and returned its license returned to the FCC, with its programming moved to sister station KUDL. 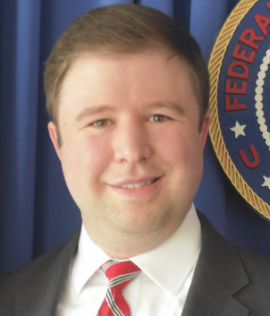 The FCC had designated that the renewal of KDND's license would be subject to a hearing over allegations it had failed to operate in the public interest. ➦Click Here For More Historical Events That Happened on February 2. 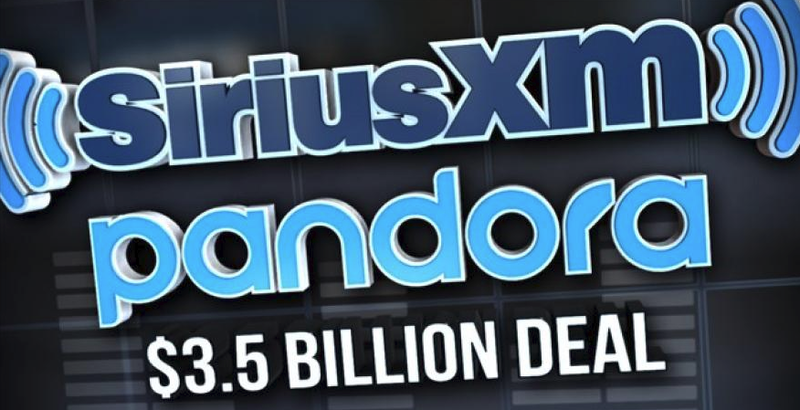 SiriusXM today announced that it has completed its acquisition of Pandora Media, Inc. With the transaction complete, SiriusXM is the world's largest audio entertainment company with strong, long-term growth opportunities. 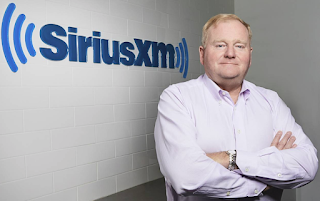 Jim Meyer, Chief Executive Ocer of SiriusXM, said, "This is a tremendous outcome for two organizations with complementary platforms and large audiences, and we could not be more excited to be moving forward as one company. 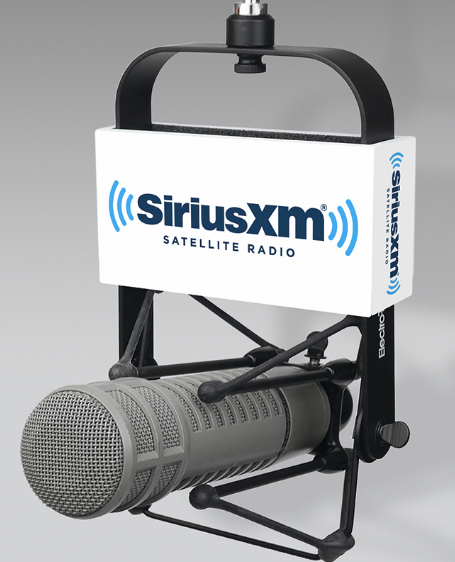 With SiriusXM's subscription-based national service of curated and exclusive content and programming, and Pandora, the largest U.S. streaming music provider with its highly personalized free ad-supported service, under one roof, SiriusXM now reaches more than 100 million people across its audio products. That is a powerful platform for consumers, content creators and advertisers." 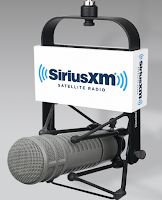 Meyer continued, "Importantly, the premier products that SiriusXM and Pandora listeners have enjoyed for years are not changing. That said, good things come from being together, and we look forward to creating new unique audio packages that combine our strengths and oer an even wider range of content to our listeners. 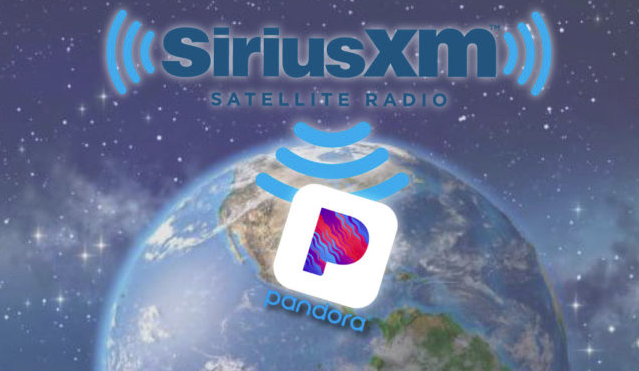 On behalf of everyone at SiriusXM, we are excited to ocially welcome the talented Pandora team and look forward to working with all of our employees to continue delivering the best audio entertainment experience in the world and creating enhanced value for stockholders." This year’s Big Game is poised to break new streaming records, if new data from Adtaxi pans out. According to MediaPost, the digital marketing agency released the results of its annual “Super Bowl Viewership and Consumer Streaming Trends Survey,” which examines streaming habits around the NFL championship game. The survey found 21% of respondents say they plan to watch at least part of the game via streaming video this year, up from 8.1% last year, a 160% increase. CBS has the TV rights to this year’s game and will make it free to stream on its websites, connected TV and mobile apps. It will not require any authentication, eliminating some of the friction that comes with streaming most NFL games. If 20% of consumers actually streamed the game, that would mean around 20 million consumers streamed the event, which would be a record for a single live event. “Based on the exponential shift in our data, we may well see a day when Super Bowl streaming overtakes traditional TV viewership completely,” says Chris Loretto, executive vice president, Adtaxi. 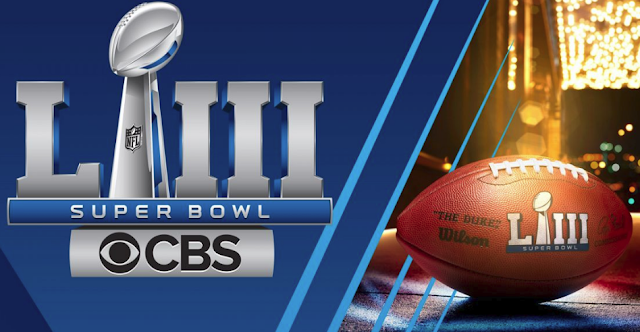 It's fitting that one of the biggest stars from Atlanta hosting Super Bowl LIII will be featured when the New England Patriots square off with the Los Angeles Rams for the Lombardi Trophy this Sunday, according to CBSSports.com. 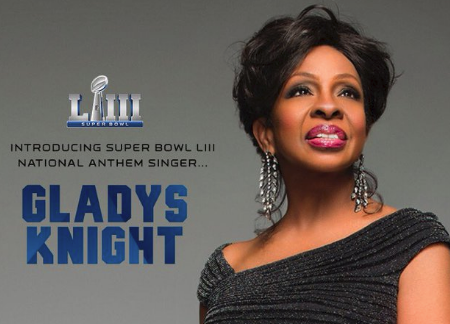 Gladys Knight, a seven-time Grammy Award winner, will sing the national anthem at Mercedes-Benz Stadium ahead of kickoff. It marks a Super Sunday homecoming for the Atlanta-born Rock and Roll Hall of Famer. With No. 1 hits in pop, Gospel, R&B and adult contemporary, Knight has been a music legend since her rise to stardom between the 1960s and 1980s, when she dropped classics like "Midnight Train to Georgia" and "That's What Friends Are For." Recognized as one of Rolling Stone's 100 Greatest Singers of All Time, she and The Pips entered the Rock and Roll Hall of Fame in 1996. Knight is also particularly celebrated in Atlanta, where, in 2015, she was honored with the renaming of Atlanta's State Route 9 from Peachtree Street to 14th Street as Gladys Knight Highway. Following in the footsteps of Cher, Neil Diamond, Aretha Franklin, Whitney Houston, Billy Joel and countless other celebrity anthem guests, Knight says she is "proud" to represent the NFL in singing before Super Bowl LIII. "I am proud to use my voice to unite and represent our country in my hometown of Atlanta," she said. "The NFL recently announced their new social justice platform Inspire Change, and I am honored to be a part of its inaugural year." In addition to Knight's performance, performance and deaf activist Aarron Loggins will sign both the anthem and "America The Beautiful" on behalf of the National Association of the Deaf (NAD). 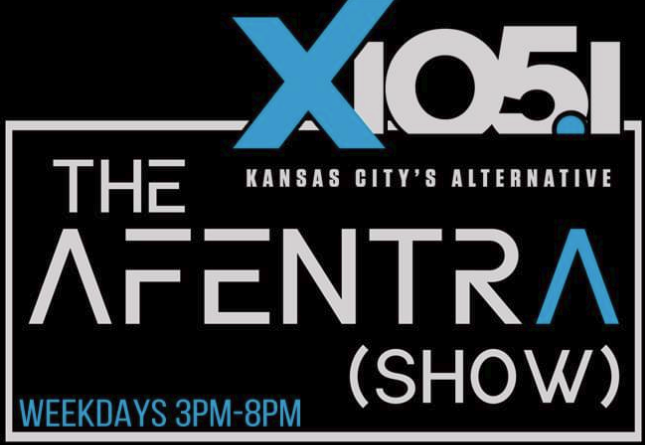 Cumulus Media announces that it will launch The Afentra Show in Kansas City on Thursday, February 7th on KCJK X105.1 FM. 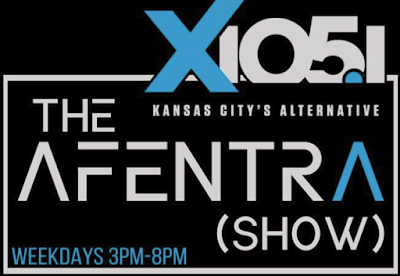 Airing weekdays from 3pm-8pm, Afentra will combine her legendary quick wit with her extensive Alternative music expertise and authentic connection to Kansas City’s Alternative fans and community. Afentra was previously on-air at Kansas City’s KRBZ “The Buzz” as the highly-rated morning show host of Afentra’s Big Fat Morning Buzz, a key component in the success of the station since 2003. Afentra said: "X105.1 didnʼt just say they wanted me, they showed me. Iʼm not just talking monetarily. Wanting me, my thoughts and my experience - that speaks to my soul, matching their words with actions. I'm rested, excited, and ready to win!" iHeartMedia announced today that Joey Dee has been named Program Director and Afternoon Drive Host for KISO 96.1 KISS FM, Omaha’s #1 For All The Hits. 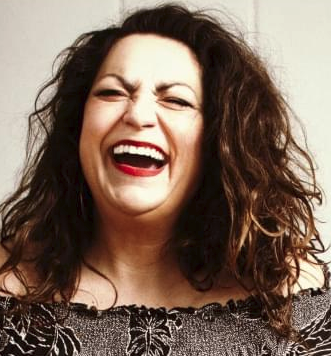 As Program Director, Dee will be responsible for overseeing the programming and on-air personalities on 96.1 KISS FM, including Elvis Duran and the KISS FM morning show hosts. He will report to Erik Johnson, Senior Vice President of Programming for iHeartMedia Omaha. Entercom, the #1 creator of live, original, local audio content in the United States, today named Kim Martinez to the role of Senior Vice President and Market Manager for Entercom Portland OR. In this role, Martinez will oversee Hot AC KRSK 105.1 The Buzz, Sports KFXX 1080 The Fan, Sports KMTT 910 ESPN, Classic Rock KGON 92.3 FM, Alternative KNRK 94.7 FM, Alternative 94/7 Too KNRK-HD2, Adult Hits KYCH 97.1 Charlie, Country KWJJ 99.5 The Wolf and Waterfront Blues Radio (KGON-HD2) in Portland, OR. Martinez most recently served as Vice President of Digital Sales at Entercom. Cox Media Group (CMG) Atlanta has named Drew Anderssen senior operations and program manager at News/Talk WSB 95.5 FM / 750 AM. In this role, Anderssen will manage the legacy brand of WSB and continue serving as the news, talk and sports format coordinator for CMG Radio. 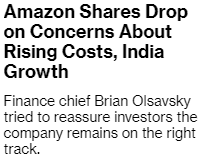 Amazon.com Inc on Thursday forecast first-quarter sales below Wall Street estimates, warning that new regulations in India had created uncertainty around one of its key growth markets and saying it would step up investments in 2019. According to Reuters, the outlook overshadowed Amazon’s record sales and profit during the holiday season. Fast and free shipping helped the world’s largest online retailer boost revenue by 20 percent. A lucrative cloud computing business, as well as fees that merchants pay Amazon to ship and advertise their products, has fattened the company’s once-thin profit margin. Would Trump Okay A Tech Wall?